Qualifying Examination: GATE/ CSIR or UGC-NET/ JEST/ JGEEBILS (TIFR/ NCBS)/ ICMR-JRF/ DBT-JRF/ DST-INSPIRE/ GPAT.Students registered with IISER Mohali for their BS-MS program can apply as per IISER Mohali’s norm. (f.) Self-attested a copy in support of SC/ ST/ OBC/ PH category (Should be Valid). the Ph.D. Program – August 2019”. to candidates on the email address given by candidate. Fare (on production of ticket) from place of residence to Institute and back. mention your name on the reverse of the DD. Last Date To Apply: 10TH APRIL, 2019. Editor’s Note: INST Ph.D. programme 2019. 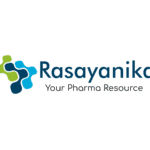 PhD August 2019 session, PhD chemistry admission, Ph.D. pharmacy admission, Ph.D., Chemistry, Pharma, Subscribe to Rasayanika for latest job updates.